Daughter is one of those assigned to decorate their classroom with the Filipino tradition of celebrating Christmas as theme. She drew a caroler beating a drum. 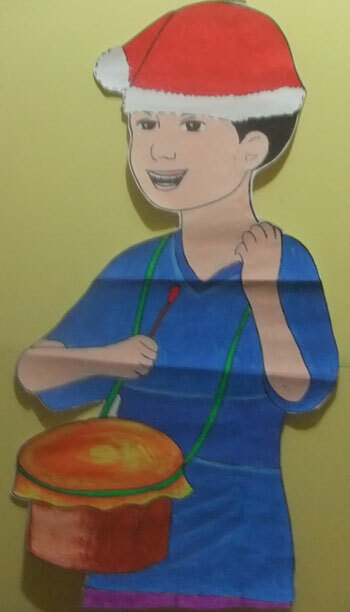 She could have added more carolers while holding different instruments, but the teacher has assigned other students to draw the rest of the artworks and background. The drawing above is my daughter’s interpretation of the young caroler. This entry was posted in Artwork on November 23, 2012 by Yami.